Military romances have long been a popular category romance subgenre. From Harlequin Intrigue to Harlequin Superromance, you can find the brave and bold men and women of the armed forces. So what is it that makes us fall for every Navy SEAL we meet? 1. The loyalty and dedication to what they believe in—and to the people who believe in them. This level of devotion is breathtaking and totally swoon-worthy. 2. The camaraderie. When men and women who are in/have been in service speak of their troop, their squad, the people who were with them in the heat of it, it’s like they’re speaking about family. From the silly moments to the heartbreaking, you’d be hard-pressed to find someone who doesn’t appreciate a found family. 3. Strength in multiple senses. 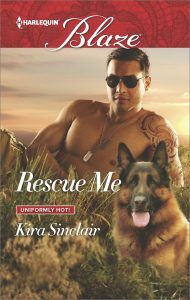 Not just physically strong, the heroes and heroines of our beloved military romances go through incredible hardship. Both the characters on the battlefield and off inspire us to hang tough and look to tomorrow. 4. The ultimate protector. These heroes and heroines dedicate their lives to protecting and defending their country—just imagine them doing that for you. I’m telling you, swoon-worthy. 5. The homecoming. Although this doesn’t feature in every military romance, when it does, it’s an emotional explosion. There are so many different ways to write it, so many feelings and possibilities that come of this reunion scene. I dare you not to cry. 6. Humanizing our real-life heroes. I’ve touched on the emotion of these stories a little, but they’re a vital part. These romances often illustrate the depth and intensity of what people in the armed forces go through—even though they’re fictional characters, how their experiences change them rings with truth. 7. Shared path to healing and love. The reassurance that the hero and heroine in military romances find in each other, the possibility of a future together, the way they learn to lean on each other…it’s a beautiful thing. 8. They’re intensely relatable. Whether it’s your experience or not, many people are connected with the armed forces in some way and empathize with these stories. 9. Many of these books are written by men and women who have served. How incredible is that? We get to hear it straight from the experts. 10. The uniform. It’s okay to be a little shallow sometimes, everyone. Just look at them. Here are a few military romances out now, so add them to your TBR! I’d like to see something other than American military. What about other countries? Other cultures? France? Spain? Israel? Australia? India? 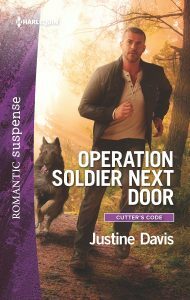 Hi Vivian, My next military romance will take place in Canada and spotlight the JTF2. I love military romance, no matter what country 🙂 So many wonderful plots to discover.